Your first stop in the Itoigawa UNESCO Global Geopark! Itoigawa GeoStation GeoPal, on the first floor of Itoigawa Station, is features a variety of attractions for the entire family making it a great place to stop first on your visit to Itoigawa. 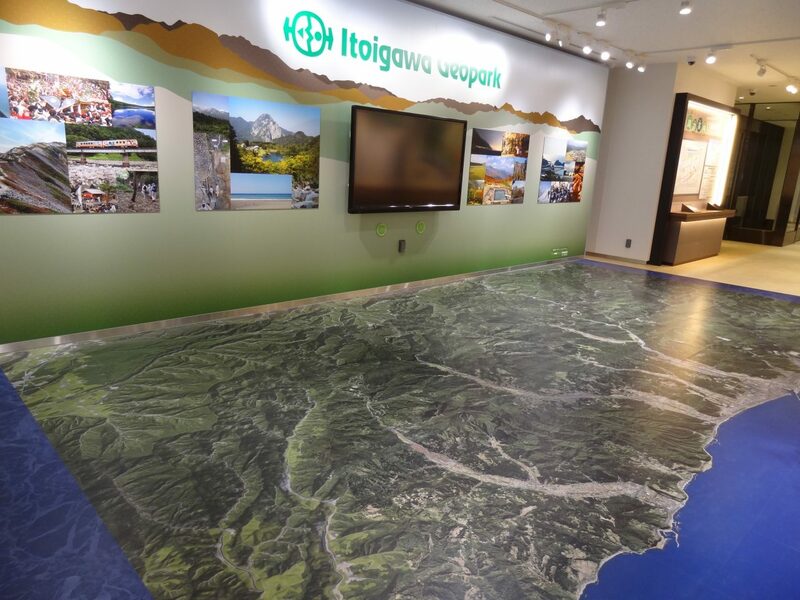 At the Geopark Tourist Information Center, learn all about the fun and exciting things to see and experience in the Itoigawa UNESCO Global Geopark. Children will enjoy the play equipment including a Mt. 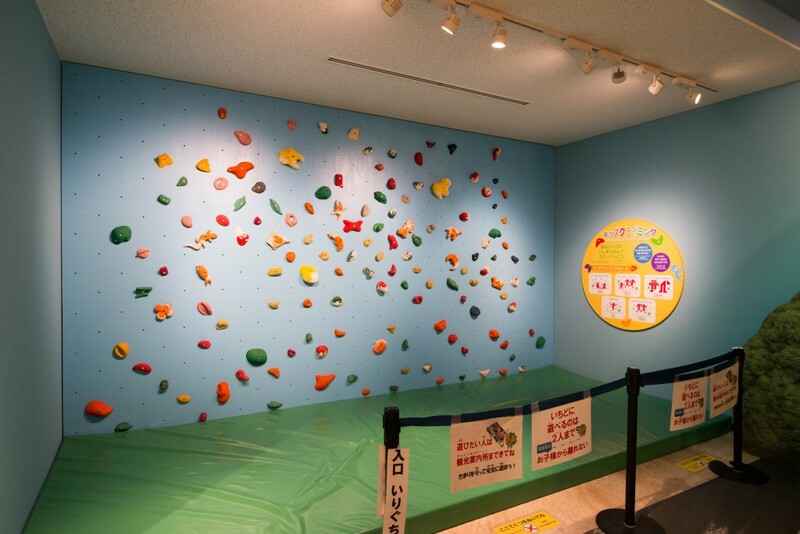 Myojo-themed Slide and Kid’s Climbing Wall. Make sure to visit us at the Tourist Information Counter for brochures and information about the Itoigawa area! Waiting for a connecting train? 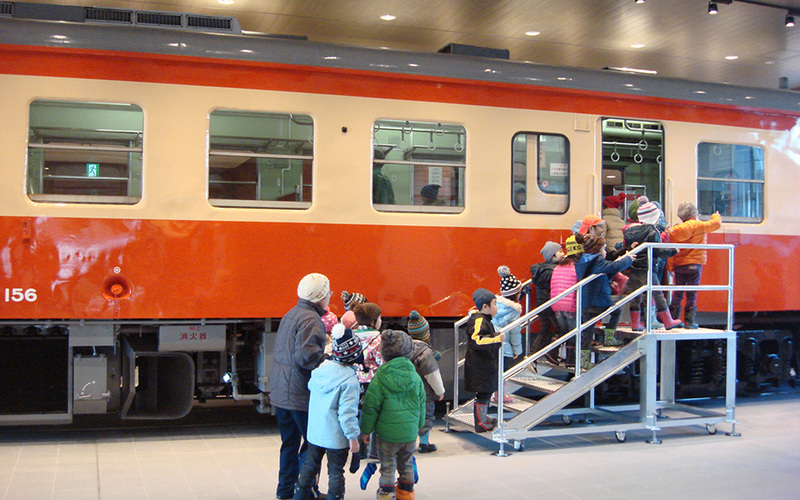 Why not visit the Kiha 52 Waiting Room which features an actual Kiha 52 diesel train which used to run along the Oito Line. In the Model Railroad Diorama Gallery, visitors can enjoy large model railroads of Itoigawa City, Tokyo and the Himekawa Gorge. 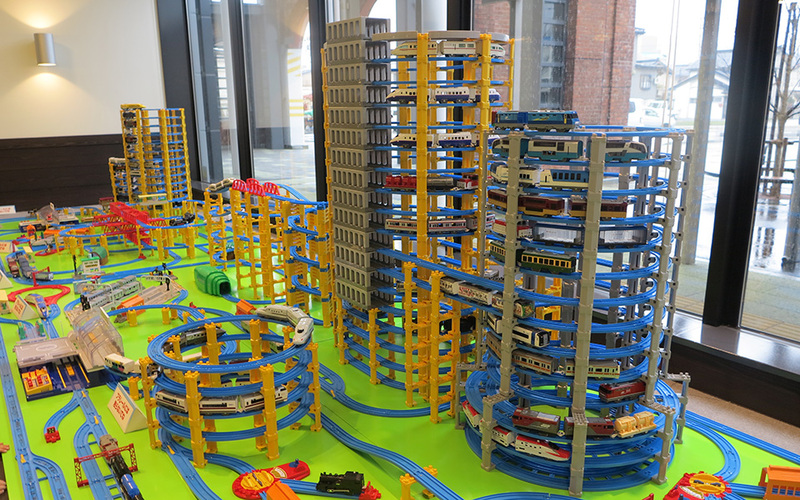 You can even have a go at operating the model trains yourself!